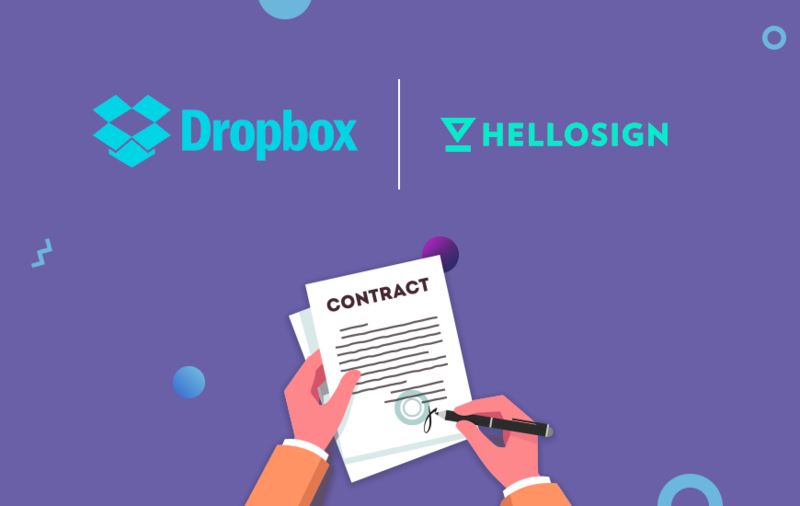 Dropbox, the leading global platform for syncing and sharing files in the cloud, has announced that it has agreed to pay a hefty $230 million to HelloSign. HelloSign, the San Francisco based company that provides lightweight document workflow and e-signature services, has more than 80,000 customers including Instacart, Intuit, and Lyft. Dropbox sales team will work on promoting HelloSign to its users but will continue to work with other electronic signature providers as well. For now, HelloSign will operate as an independent company. Dropbox has exceeded analysts’ estimates in each of its first three quarterly earnings reports as a public company, but it hasn’t done much to gain investors’ interest since its debut in March at $21 per share. Coming out of the year of the IPO, the next question is ‘How are we going to continue to broaden the jobs we do for customers?’, Clark told CNBC on Friday. Users can apply their signatures to digital documents and ask for the same from others via HelloSign. Companies can also embed the HelloSign signature system into their own software, and this technology is available in products from Google, Salesforce, as well as Dropbox. Whitney Bouck, HelloSign’s chief operating officer, in an interview said that HelloSign has tools for virtually faxing documents and managing the flow of paperwork, but its signature tool is the most popular among all. Joseph Walla, CEO HelloSign, says that its deal with Dropbox gives HelloSign access to resources of a much larger public company, which should allow it to reach a broader market than it could on its own. “Together with Dropbox, we can bring more seamless document workflows to even more customers and dramatically accelerate our impact,” Walla stated. Other companies such as DocuSign Inc. and Adobe Inc. also offer software for electronic signatures. Users can embed this software into websites or include the tools in documents that employees or customers need to fill out. For example, Instacart, which works on delivering groceries to customers, uses HelloSign to help people complete the sign-up form. HelloSign is also working to replace PDF- a document format created by Adobe to display documents. Walla had to say that PDF is ill-suited for viewing and filling out filling out forms on mobile phones. This move will put Dropbox in direct competition with Adobe and DocuSign, with the potential to bring more big businesses to the company’s core file sharing and collaboration products.